A video of Trent Alexander-Arnold speaking with Gary Lineker has been doing the rounds on social media for a good reason. Lineker told the young full back that he sees “a bit of Gerrard” in his game and his face lights up! Trent is mainly deployed as a full back at Liverpool, but the Scouser does have a past playing in midfield at a junior level with the U23s. Lineker has actually said before that he sees Alexander-Arnold as too good to be a full back and thinks he should feature further up the field for the Reds. 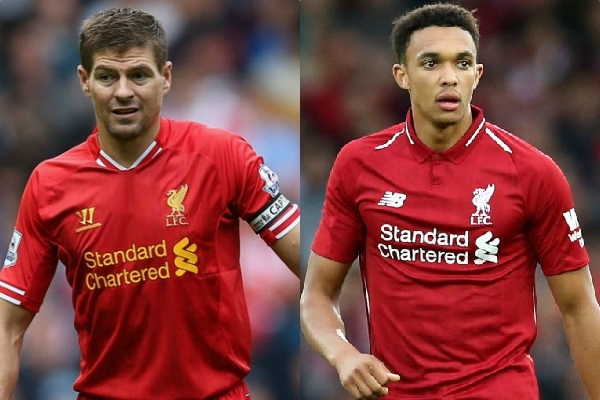 Like most Liverpool lads his age, Trent will idolise Steven Gerrard and would have grown up wanting to emulate the club icon. Since the start of the 2016/17 season, Alexander-Arnold has been a staple in Jurgen Klopp’s team and it doesn’t look like that is going to change any time soon. Our right back is the most creative defender in the Premier League this season and it would arguably only increase his output if he was to play in a more advanced role. Would you like to see Trent playing further up the pitch at Liverpool? He could be what our midfield is screaming out for.